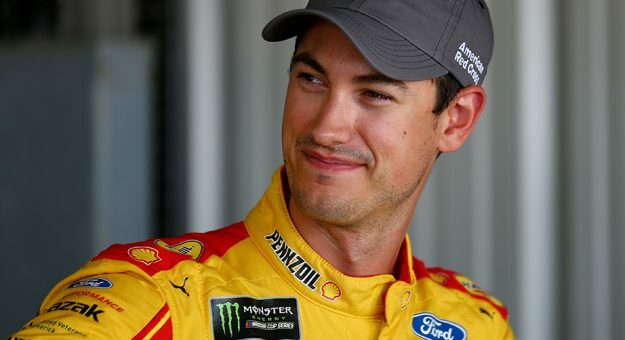 Back at Richmond in May, when Joey Logano’s race-winning car failed post-race inspection, resulting in an encumbered win, you were awfully confident Logano would find Victory Lane again before the start of the playoffs. You were so confident, in fact, that you promised to do the unthinkable — tattoo Darrell Waltrip’s face on your inner thigh (of all places). Well, here we are — the Playoffs begin this weekend. The 16-driver lineup is all set to battle for the Monster Energy NASCAR Cup, and there’s one particularly notable driver missing: Joey Logano. Feeling nervous yet, @nascarcasm? That’s right — Logano never ended up winning another race before the start of the playoffs. This, of course, means it’s time to square up. On behalf of the Internet and NASCAR Nation as a whole, @nascarcasm, we’re giving you until the start of the Playoffs — this weekend’s Tales of the Turtles 400 at Chicagoland. Before the green flag drops Sunday, you’re hereby required to provide some sort of proof of your new DW tattoo. And no funny stuff, either, pal. We know you’re quite skilled in Photoshop. We demand the real thing.